Can You Save That Tree? Can You Save That Tree? Can You Save That Tree? How close it is to the house? If the tree poses a true danger of falling on your house, trying to rehabilitate it might be a gamble. Sure, you might save the tree, but the odds of it falling on your house will grow over time as you make your attempts. You probably shouldn’t try to save it unless the problems are very minor. Also, if it’s very close to your home and might continue to grow larger, there is probably no point to saving it. It will have to come down eventually, anyway. How much will it cost? If a tree is diseased, there is no guarantee that even the best treatment will save it. Some trees can be recovered with water and appropriate nutrients, while others require far more advanced care. 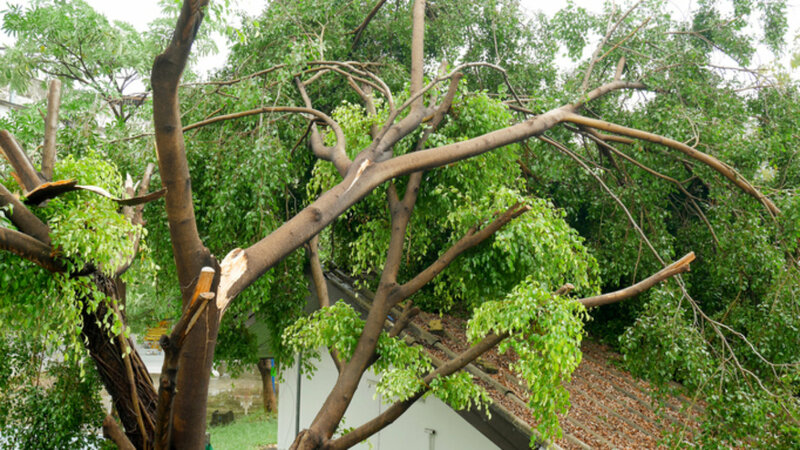 Consult with a professional to discover exactly what your tree will need, and ask for an estimate. If you’re very attached to the tree, it can be difficult to put an acceptable price on saving it. But do remember that you’re taking a chance with your investment. You might spend money on treatments and lose the tree anyway. If you decide to cut it down… Remember that you can replace the tree with a young, healthy one that you will likely enjoy for decades to come. This time, you can choose one that grows well in our area, and whose foliage, flowers, or fruit you particularly enjoy. It can be hard to part with a beloved tree, but the sooner you let go, the sooner you can move on.